Founded over a century ago, Ford has grown into a brand that has managed to gain a fanbase with unwavering loyalty. As one of the top automotive giants in the nation, Ford has devoted itself to producing and disrupting quality hardworking vehicles that are built strong and made to last. This devotion to toughness is taken to a whole new level though when it comes to Ford trucks. It’s not hard to understand the appeal of driving a Ford truck; they are beasts of the road that always seems to have a commanding presence and are at the top of their class. That being said the question of how they get to be at the top still resides. Ford Trucks are built on five pillars that allow them to reach their full potential physically, mentally, and spiritually. These pillars are instilled into every Ford truck without exemption, and that is what keeps them at the top of their class. Physique is an essential part of any pickup truck whether it is light or heavy-duty. Now when it comes to physique there are two main factors that apply: style and efficiency. When it comes to style Ford trucks only work on one level, bold. Every element of a Ford truck must deliver a sense of strength and pride in order to allow drivers the commanding freedom they desire. Drivers are also free to choose between a mixture of cabin and bed size configuration options for a completely customized driving experience. In addition to looking bold though, each element must also be efficient. For example, the lights, mirrors, and wheels are not just large to be intimidating, but in order to increase necessary visibility and control. Basically, the physique of every Ford truck must have a strong cohesive design that adds to the performance of the vehicle as a whole. Now when it comes to Ford, there is no question that these are the strongest and most powerful vehicles in the nation and possibly the world. Designed with only the optimal engine options for the size and performance expectation for each Ford truck, the results will always be driver satisfaction. Some Ford trucks can even haul over 30,000 pounds when properly equipped. Whether it’s a V6 or V8, you can trust that Ford trucks have what it takes to push through even the toughest jobs. 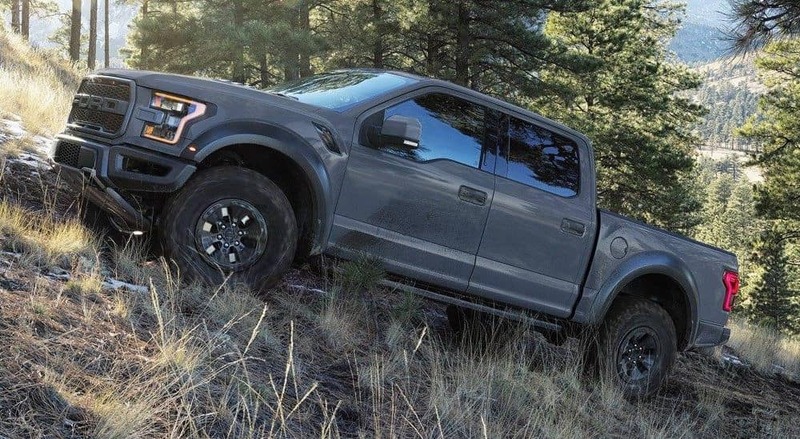 “Built Ford Tough” is more than just some silly motto as every Ford truck is made with high-strength military-grade aluminum-alloy and steel that weighs less and protect more. Even the roughest roads won’t be able to leave a scratch on one of these sturdy beasts. The average Ford vehicle can easily last over 15 years, which is more than 200,000 miles for the typical driver with typical driving habits. This implies you better start getting close to your Ford truck because once you invest, you are in this for the long haul. Just because trucks are massive and strong doesn’t mean it can’t be intelligent as well. While Ford has built its career on strength and toughness, in more recent years they have been thinking about the future and have started implementing more innovative technology features that will make driving more enjoyable. Ford trucks are fitted with the best safety features that will not only protect you from accidents but prevent them all together. There is also Ford’s signature Sync3 infotainment system that will keep you connected though smartphone compatibility and leave you with hours of entertainment. Who says brutes can’t be brilliant? Indisputably, the most important pillar that all Ford trucks are built upon is passion. Without passion, no masterpiece can ever be truly complete. Ford trucks are always made with the passion of many brilliant engineers who strive to enhance the automotive world and our limits as human beings. Each of these engines is fitted with start-stop technology that helps with fuel efficiency and mileage so that the truck can last longer. The Ford SuperDuty comes in three models, one more than most heavy-duty truck lineups, which includes the F-250, F-350, and F-450. When it comes to advanced features and an authoritative style these three are fairly identical, but the big differences are in the cost, size, and towing potential. The F-250 starts at a little over $32,000 and measures to be 232-266″ L x 80″ W x 78-82″ H. With a max towing capacity of 18,500 pounds, this model is also at the top of its class and ready to get the job done. The F-350 starts at a little over $34,000 and measures to be 209-251″ L x 80-86″ W x 75-79″ H. The max towing capacity of this model is 32,000 pounds that are once again top of the class and allows you to haul nearly anything. The F-450 starts at just over $45,000 and measures to be 232-266″ L x 96″ W x 81-82″ H. For those who desire zero limitations in their life, the max towing capacity a massive 34,000 pounds, which is, you guessed it, once again best in the class. 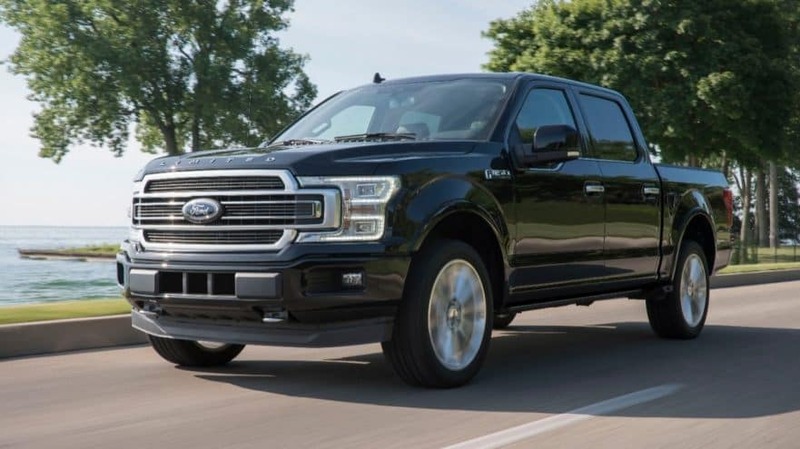 The F-250 and F-350 offer two breathtaking engine options including a standard 6.2L V8 (Flex-Fuel) gas engine that delivers 485 hp and 430 lb.-ft. of torque, and an advanced 6.7L V8 diesel engine which produces 450 hp and 935 lb.-ft. of torque. The F-450, on the other hand, is only paired with the 6.7L V8 diesel engine due to its power needs. The transmission paired with these engines is a 6-speed automatic, which is the ideal choice for vehicles of this size. At Vogler Ford, saying we are proud to sell Ford trucks would be an understatement. We believe that by providing such bold and brilliantly designed trucks that we are doing our community service. Speaking of service, we are also passionate about providing drivers with a carefree service experience from the second they walk in the door. You will find our staff is friendly, attentive, and informed on all matters concerning our services and inventory. 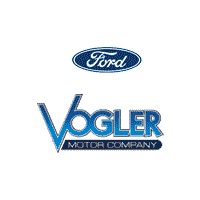 So if you want to invest in a Ford truck and push your limitations, please consider Vogler Ford.